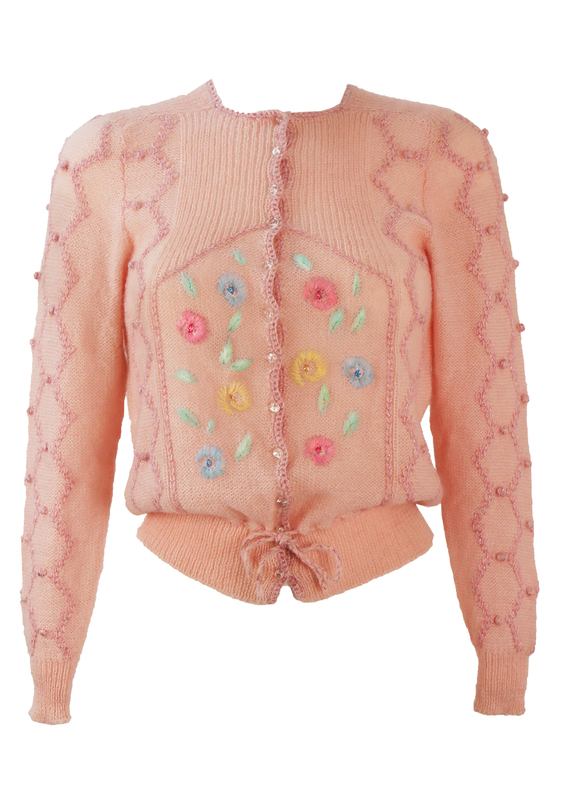 Pretty in pink cardigan featuring embroidered flowers in pastel colourways of yellow, green, blue & pink. 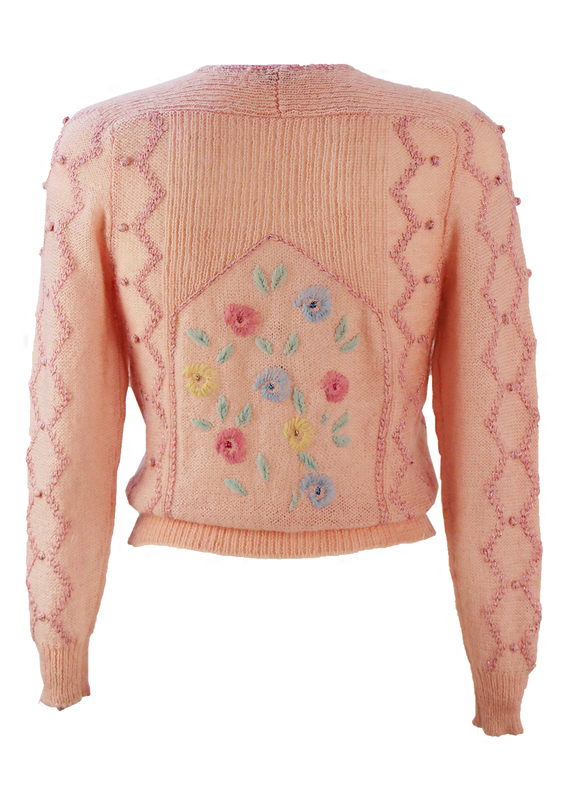 Additional design touches include a lovely textured knit pattern on the sleeves & sides with metallic pink highlights as well as a drawstring option at the waistband. 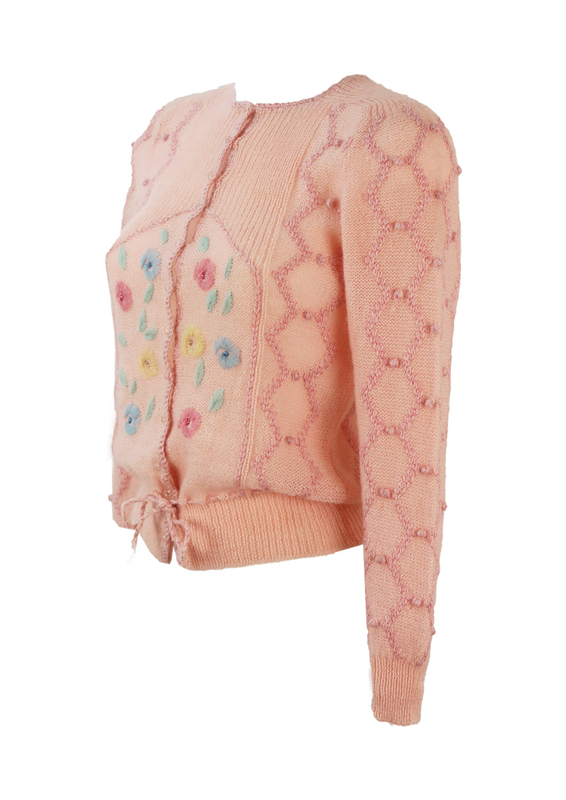 The cardigan is in excellent condition and although there is no fabric label, has a soft woollen feel to it possibly with part mohair mix.